Description - These necklaces measure 17 inches long including the clasp with a 1 inch extender chain for a total length of 18 inches. The lobster claw clasp and extender chain are made of a silver plated base metal alloy. The cord is made of leather and ribbon. 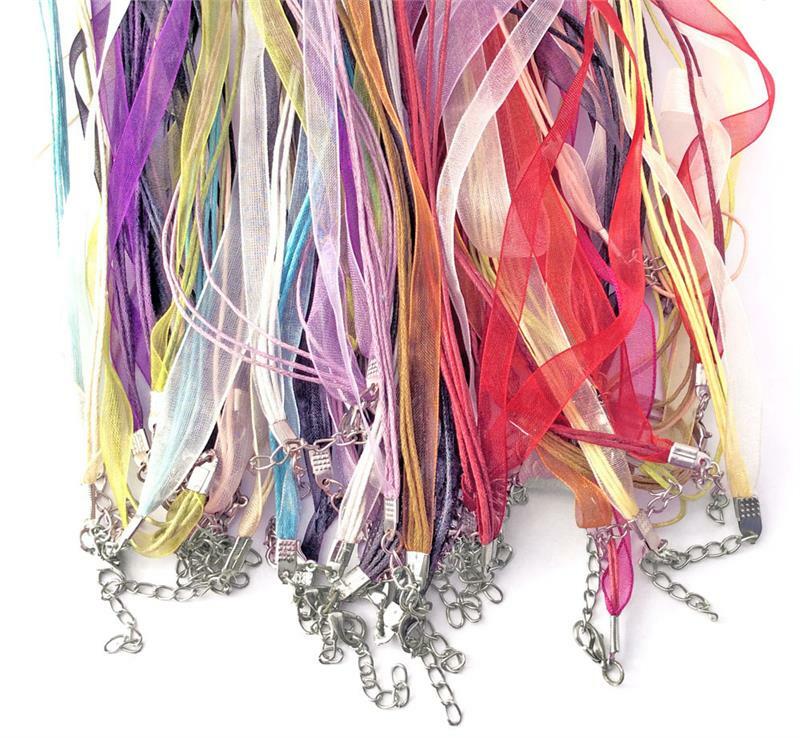 Use these leather ribbon necklaces in your handmade jewelry designs and craft projects to create a one of a kind look! These necklaces feature a lobster claw clasp, chain, smooth leather and soft ribbon. They are perfect to wear with a fabulous pendant or just on their own! You can also re-purpose them to use as components in your projects. These necklaces measure 17 inches long including the clasp with a 1 inch extender chain for a total length of 18 inches. The lobster claw clasp and extender chain are made of a silver plated base metal alloy. The cord is made of leather and ribbon. This listing is for TWENTY necklaces, colors vary per package.